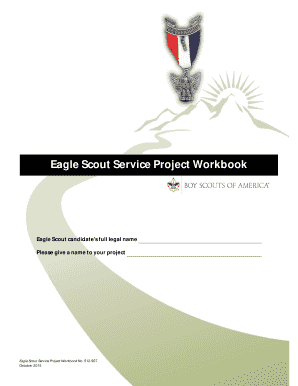 What is the Eagle Scout Service Project Workbook? There are seven Boy Scouts of America official rankings. These include (in order) scout, tenderfoot, second class, first class, star, life, and eagle. The highest rank, Eagle Scout, is obtained when…. The last of these requirements is where the Eagle Scout Service Project Workbook comes in. The scout must use the book to guide their service project. The purpose of submitting an Eagle Scout Service Project Workbook is to have an Eagle Scout Service Project reviewed and approved so that the scout may achieve their Eagle Scout ranking. There are other sections with rules on project fundraising, and information on projects in general. Each section comes with detailed instructions which can be followed in order to complete the entire workbook. It is suggested that the potential Eagle Scout works with parents, troop leaders, or other scouts to complete the form. Who is the publisher/creator of the form? The Eagle Scout Service Project Workbook is published through Boy Scouts of America. The Eagle Scout Service Project Workbook is received and processed by the Council Service Center. 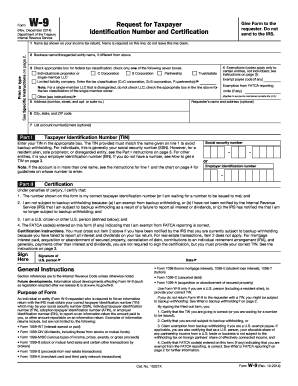 Where do you send this form? The application for Eagle Scout is sent to your local Council Service Center. First, make a copy of the complete application, including service project workbook, statement of ambitions and life purpose, and listing of positions, honors, and awards. Then, deliver the originals in person to the council service center. If possible, deliver everything by hand. Otherwise, send it by registered or certified mail. Eagle Scout Service Project Workbook. A. BOY SCOUTS OF AMERICA®. Eagle Scout candidate's full legal name. Please give a name to your project.